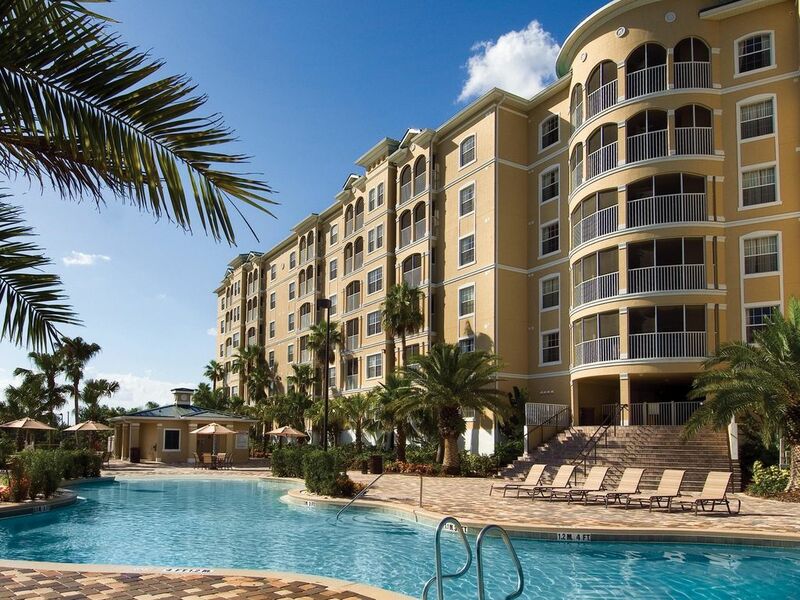 Mystic Dunes Resort & Golf Club is a distinctive family resort where you’ll enjoy close proximity to Disney and Orlando theme park excitement, while escaping to a relaxing, tranquil retreat of spacious condo-sized villas and rolling golf greens. Built on one of the highest elevations in the area, our resort is nestled on over 600 acres of rolling hills, lush Florida nature preserves and beautiful tropical landscape. Even better, Mystic Dunes is located less than three miles away from Walt Disney World and features one of Central Florida’s best golf greens on-site, allowing guests to enjoy easy access to the best in golf, Orlando attractions, and natural Floridian beauty. Explore the magic of Harry Potter World and thrilling roller-coasters at Universal Studios- under 30 minutes away!- with the family, or spend a day out on the rolling hills of the Resort’s top-rated golf green, putting under Florida’s vaulted, crystal-blue skies. Drive over to Discovery Cove for a day of dolphin-swimming or kick back and relax in a private cabana at one of the Resort’s four on-site pools. Whether you want to go on an adventure, relax poolside, glide over the rolling hills of the championship green in your golf cart, or just enjoy time with your family and friends over a delicious dinner at the on-site Kenzie’s, Mystic Dunes is the place to be. Nestled in the vacation-haven of Central Florida, Mystic Dunes Resort & Golf Club offers excitement for all members of the family! The Resort is situated just minutes from Highway 192, providing easy access to a huge selection of restaurants, shops, and supermarkets. Even better, Mystic Dunes is located conveniently close to all the best theme parks Orland has to offer, with discounted tickets and shuttle service to hotspots such as Disney World, Universal Studios, and Sea World available throughout the week! This luxurious, two-bedroom unit features a king size bed in the master bedroom with private bathroom and large-screen TV, two queen beds in the guest room (also equipped with TV), and a queen sleeper sofa in the spacious living room. An elegant dining area accompanies a fully-equipped kitchen with bar seating, perfect for cooking a home-made meal and settling down with friends and family to go over your fun-filled day. Watch a movie after dinner on the 52” large-screen TV (DVD Player included) or relax outside on your screened-patio to enjoy the warm, summery night without fear of mosquito bites. When you’re ready to wash off the mugginess of a day well-spent in the Florida outdoors, feel free to take a relaxing dip in your Garden Tub in the master bathroom or a nice, hot shower in the guest bathroom. This homey and comfortable unit is also equipped with high-speed internet service as well as a washer and dryer. Mystic Dunes Resort & Golf Club is a distinctive family resort where guests enjoy close proximity to Disney World, Orlando theme parks such as Universal Studios and SeaWorld, as well as some of Central Florida’s best golf destinations. Built on one of the highest elevations in the area, Mystic Dunes encompasses over 600 acres of rolling hills, lush Florida nature preserves, and beautiful tropical landscapes. The golf course is nationally esteemed, ranking 4.5 stars out of 5 by Golf Digest, and is joined by an 18-hole miniature golf course which provides a fun-filled challenge for adults and kids alike! In addition to its four pools and private poolside cabanas, the Resort also features a Dunes Lagoon water play area with a two-story water slide, tennis and basketball courts, and Kenzie’s, a full service restaurant and bar which serves delicious breakfasts, lunches, and dinners. Golf course amenities include an enormous, 20,000 ft. stylish clubhouse overlooking the gorgeous, natural vistas provided by the lush golf course, a Full-service Pro Shop offering the latest in golf equipment and fashion for both men and women, a practice facility featuring a driving range with a grass teeing area and target greens, as well as practice bunkers and putting and chipping greens. We stayed in building 31 which is closest to the activity center. Great if you have kids that like to play basketball like we did. Pools were awesome! Rooms were fine, nothing fancy, but nice and clean. Beds were not very comfortable, but they served the purpose. There were shuttles that took you to different areas of the resort; loved that! Lillian at the front desk is AMAZING! She helped us with all of our needs. Location was perfect! Very close to everything we needed. Overall, it was a great experience and if we come back to the area, we will stay here again. Great property. Plenty for everyone to do. Very comfortable start. We will definitely stay here again. Mystic Dunes Resort was a pleasant experience. The condo was very clean and very spacious. The beds were very comfortable and made for a good nights rest. The staff was very kind and helpful. The kitchen was well prepared for all our cooking needs. I will definitely stay again! Rented through VRBO. Resort not happy with that. We had an evening flight and were told ,” Oh yea there are showers at the pool”. Cold water on a stick by the pool? Teenagers 19,18,15 were planning on a shower before their 6 hour journey home. No flexibility of check out time unless book another night. Thank you for taking the time to share your recent experience and apologize you were unhappy with with the pool showers and our strict check-out time. Please know that because of our high volume of guest reservations our check-out time is strictly enforced so we can turn the rooms for the next guests arrival. We do take our guest feedback as a way to improve our services and as such we will share your comments with our on-site team. We do hope to see you again the next time you are in town! Great spot. Lots to do. Beautiful property. Great for family. Lots of activities included. Only regret was giving up most of a beautiful day listening to timeshare presentation. OTHER THINGS TO KNOW - 24 Hour Front Desk - Check in Time: 4:00 pm - Check Out Time: 10:00 am - This property charges a mandatory resort fee due at check-in. Please check listing below for details. Rates subject to change. - Pets are not permitted with the exception of Service Animals - Min. age requirement for check-in is 21 - All guest suites are non-smoking TAXES AND FEES: - A Photo ID as well as a credit card for a $100 security deposit plus a $22.95 nightly resort fee plus tax will be required upon check-in (cash is not an acceptable form of deposit). - Resort Fees include: Family and supervised children’s activities, four pools and private poolside cabanas, the Resort also features a Dunes Lagoon water play area with a two-story water slide, tennis and basketball, On-site sauna, spa, Complementary shuttle transportation to Walt Disney World, Universal Orlando, and Sea World Orland theme parks, High speed internet service, Complimentary use of laptops and printer in Cyber Center, located in the lobby. This property charges a mandatory resort fee due at check-in. Please check listings for details. Rates subject to change. Click "Book it Now" for rates and availability. Reservations may be cancelled up to 8 days prior to arrival. A cancellation fee of 25% of the reservation will be charged. Cancellation requests made 7 days or less prior to arrival are non-refundable.